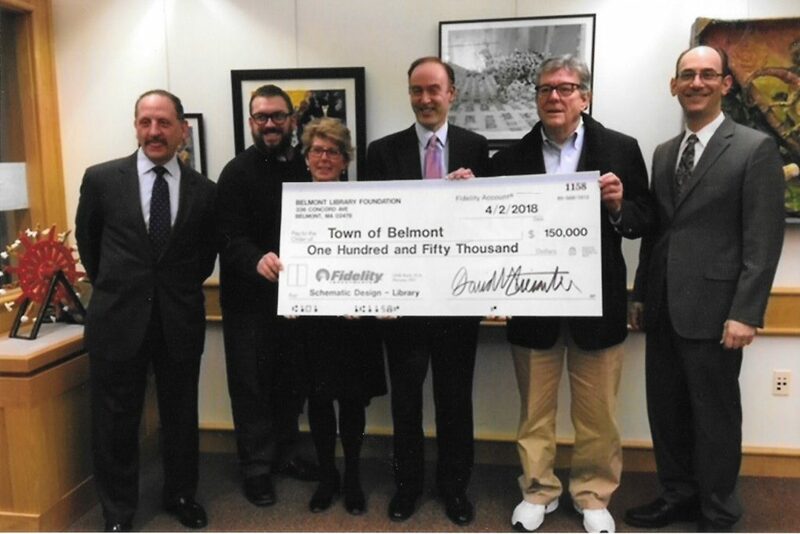 At the April 2, 2018 Board of Selectmen meeting, the Belmont Library Foundation presented a check for $150,000 for half of the cost for the Schematic Design for a new library. Town Meeting approved the funds for the other $150,000 last fall. Schematic Design is the first design phase of a building project, and it will utilize the information gathered and synthesized in the 2016 Feasibility Study to determine the layout and form of the proposed new library building. The Foundation is committed to contributing towards of this design process as part of a continuing strong public-private partnership. The Schematic Design will also be a key step in fundraising for the new building project, as it sets the vision of both the function and appearance of the new building and its grounds. Visit us at Meet Belmont, August 28th!